This was breakfast the other morning. 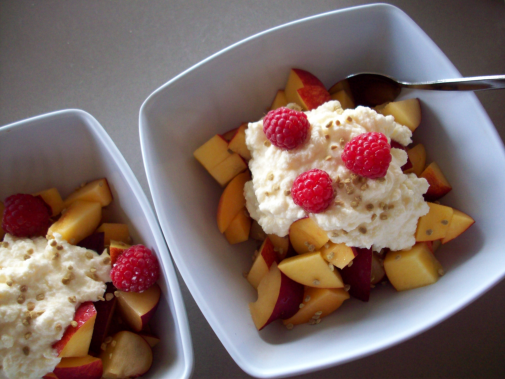 Fresh stone fruit with home-made yoghurt, a little bee pollen and some raspberries straight from the garden. Just delightful! Such as welcome taste sensation.